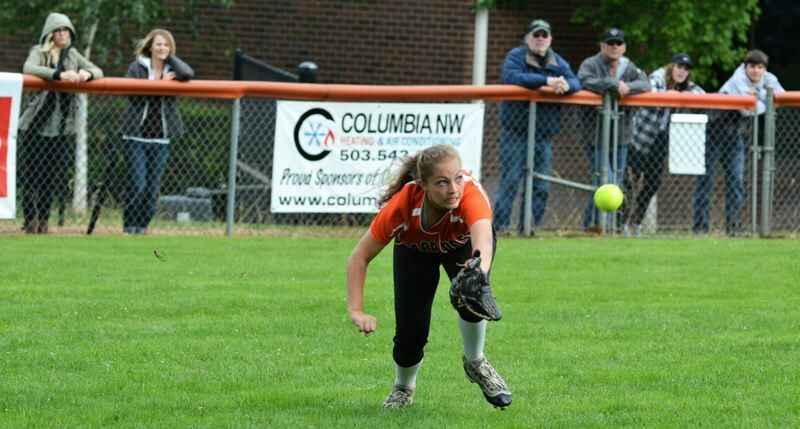 The Scappoose School District is considering at least two plans to improve facilities for the high school softball team, but neither is likely to be completed in time for the upcoming season, which starts March 14. During a school board meeting Monday, Feb. 13, Superintendent Stephen Jupe spoke briefly about preliminary plans he and other staff developed that would provide the softball team with access to restrooms and other facilities, something the team currently does not have. The plans are starting to take shap more than a year-and-a-half after the district received a tort notice from the parent of a former Scappoose High School athlete who alleged female athletic programs were being receiving unequal treatment when compared to programs for males, a violation of federal anti-gender discrimination laws known as Title IX. In February 2016, an audit conducted by an attorney for the Oregon School Boards Association of Scappoose's athletic program revealed inequalities regarding access to restrooms, locker rooms and concession stands between the boys baseball team and the girls softball team. Robert Medley, the high school's athletic director, said he and varsity softball coach Cjay Koler have had preliminary discussions with district staff about plans for accommodating the softball team. Currently, two plans have been developed. The first involves a less expensive $33,000 option to move the softball team to Anderson Field at Scappoose Middle School. Though this option would satisfy some of the access to equal facilities concerns, the field itself is not as desireable to the team. The second, however, proposes to keep the team at its current field next to the district office and build additional facilites at the site at an anticipated expense of $130,000. Last year, Koler and several players from her team expressed their desire to remain at the current field because the field conditions were preferable. Although the audit revealed several issues, attorney John Stellwagen, said the district was not out of compliance with Title IX regulations and would not likely receive a complaint from the U.S. Department of Education for the inequalities. At the time, the school board took the results under advisement and said they would begin developing a plan to address the inequalities in facility access for the softball team. In December, Jupe attempted to move the district office staff to another offsite facility and proposed the softball team could use the restroom facility in the building next to the field. Those plans quickly fell through, however, when the cost of moving staff proved to be too high. Monday's talks revived consideration of the issue. Board members agreed to table the discussion and work through the plans' details in more depth during a work session at the end of the month.